It is the only extant species in the family Upupidae. We did not go for birding since our Blackbuck national park. So today morning we went to do birding near to our college. As our college situated away from Patan in Dharpur village. 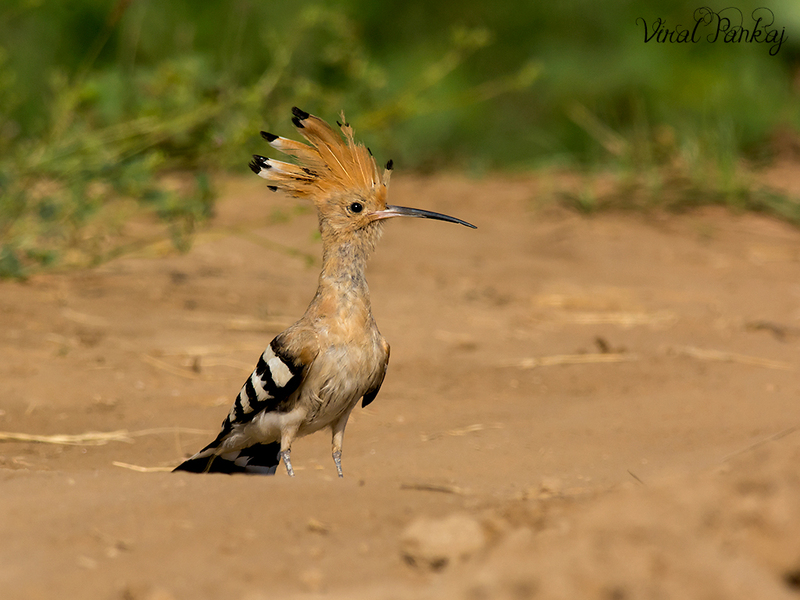 At canal, we saw this Eurasian Hoopoe. It quite friendly to us and allow us to come close to home. One of my favorite shot to click this bird with its crown up and today morning my dream come true. Its look great with crown.